Posted by The New Home Spot on Wednesday, November 14th, 2018 at 1:27pm. People are looking to buy a new home, but with home prices scooting higher and higher, being forced to buy a smaller home than anticipated is a real possibility. Don't let that get in the way, though, because we've got a few tips to help you make the most of your small spaces whether you embrace the space and create a cozy environment, or want to create the illusion of more square footage. Take a look at the tips below. Any blog you read will tell you about the importance of paint colors. Color can transition any space into almost anything you want. If you are looking to enlarge the space, choose lighter colors like white, tan, and gray. This creates a clean slate and expands the area. Go a step further and paint the ceiling white to draw the eye up and over the area to elongate. On the other hand, small spaces make for a sense of coziness. If you want to take advantage, paint your walls deep, dark colors like black, charcoal, and navy blue. Bold colors bring the space in and create the yummy cozy feel you've been looking for. Let's talk storage. The tighter the space, the more limited storage options become. One way to overcome this is to get creative and make sure everything is out of sight. 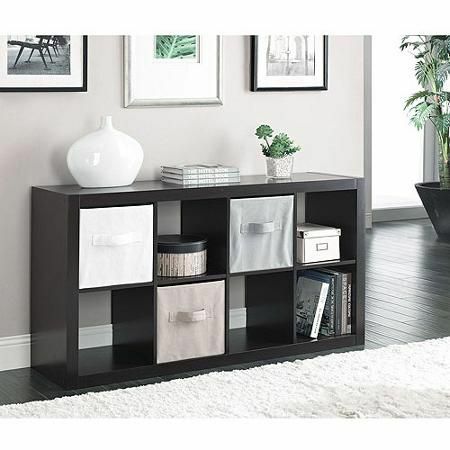 We suggest getting shelves and tucking everything away in stylish boxes. Furniture that can double as storage will be your best friend. Ottomans that open up, benches with space for stylish boxes to be stored underneath, and bed frames with drawers below, all will help streamline your home. At the end of the day, this is your space. Get creative with it! Pinterest ideas and recreate the ones you love! The important thing to take away, is to make your house a home. Love where you live and make it unique to you!